Dubbed as music's eclectic daredevil, Olivier Derivière has been creating video game soundtracks for almost 20 years. Fusing his classical background with an unbridled love for electronica, Olivier has created some of the most memorable scores in recent memory. Before delivering a masterclass at dBs Music Bristol we sat down to talk about coding parties, the power of the voice and the importance of Aphex Twin on his career. I’ve always been fascinated by video games. As a gamer, to be actively responsible for what is happening onscreen (and more now) is quite astonishing. I’ve been playing games since a very young age and still do. This is the premise of my journey into scoring games and my passion for them. Your parents enrolled you in the Conservatory at a young age, saying you had to study music, rather than it being something you initially chose yourself. How long was it before it stopped feeling like an obligation and something you were passionate about? Yes, my parents were very imposing when talking about music and sport. When you are five years old you don’t feel it as an obligation, but rather as a game. It's fun to learn music when you start, then you understand it requires more from you than just showing at class. I was lucky enough to have chosen classical percussions as my main instrument because hitting drums and mallets is very fun! However, I soon discovered that music could be of my own creation. At about 8 years old I started “composing” on the little synth my mom used when she had to teach out of our home. It became different than a passion, it became a need. When you made the decision to pursue video game composition as a career you felt like there was more to do in comparison to working on film scores. Do you still think that’s the case? I’m not sure anybody knows exactly what it is to score a movie or a video game, because each composer would have a different take. I know that scoring movies is very different than scoring games, not because people have asked me, but because I made sure I did things differently. Many people compare the two and I understand why. Basically, game developers have been looking up to movies for years as a role model, but I can clearly say that today it is much different. Of course there are similarities, but the 'complex of inferiority' is fading away quickly now and scoring a game is way more demanding if you are true to this medium. Your first video game credit was ObScure back in 2004. How did you come to work on that project? I have been participating in meetings called “coding parties” since I was a teenager. There we would spend three days without sleeping to create a demo that would show off the capacities of each team. You could consider that game jams are quite similar nowadays. Over there I met with coders, artists and more, that later on became part of the game industry. That’s how I started making connections, but in fact working on ObScure was very random. Although I didn't know anybody at Hydravision Entertainment (ObScure’s developer, now known as Mighty Rocket Studio) I knew so much about the technical aspects thanks to my years with my friends that it made my hiring much easier. Richard D. James is a huge influence of yours, something that comes through most noticeably on Remember Me, where you fused classical instrumentation with electronic production techniques. How did you marry those two styles together in a way that made sense? I have been a huge electronica music lover since the dawn of time. Actually, the connection with computers (therefore games) makes the relationship very obvious. Richard D. James (aka Aphex Twin) has been using tools that I used, such as SoundTracker for years. He has always been a visionary and I used his vision and applied it to my own knowledge: Classical music. It was a huge challenge, an impossible risk if it was for a movie, but in the video game industry risks are allowed, and when I discovered the world of Remember Me I knew it was the game I could merge the two worlds, electronica with a live symphonic orchestra. It was scary as hell though! Your work on the game Harold is a really interesting example of new ways that a player’s actions can affect the music. How did the idea first come about? I'm happy you are mentioning Harold! It is always about the gameplay and the player’s experience. Of course you also need to create the music identity and as this game is about running and guardian angels we wanted to use a Gospel Choir to capture the fun and the energy of such musicians. Then it is always about the gameplay and Harold is quite a unique game. Had you not possessed the technical background and experience using Wwise, do you think Harold would have turned out the same? Wwise is an incredible tool because anybody can use it and its features are amazing, somehow they are very often overlooked by developers (and composers for sure). Wwise has also become a standard in the industry where small indie games to the biggest AAA are using it. Such a tool is key for people who want to offer the best audio experience without spending too much time in creating their own audio tools. Of course, you can make a software that would give you even more than Wwise can, but you would need 40 programmers for about four years to even reach the same level of features. Some publishers have such proprietary tools (like EA) but otherwise, Wwise is, as of today, unbeatable. So no, I could have not reached the same goals without Wwise on Harold. Each of your scores has a very distinct style, using a lot of cultural touchstones to help set the tone. How much research goes into a project before you can start creating ideas? Well, it depends. Sometimes it is obvious, sometimes it is not. You mentioned Harold and I told you we used a Gospel Choir to capture the energy and to fit with the world of the game. Frankly, and it might sound awkward, but it took me months before coming to this idea. For Assassin’s creed IV Black Flag Freedom Cry it was much more obvious. As the game deals with slavery, the idea to have genuine Haitian singers was at the top of the list at the beginning of the discussion. I think many would say that your use of vocals on all your scores has been key to giving your work its identity. Was the voice always a favoured instrument of yours in the early days of composition? Voice is, to me, the most impressive instrument. Obviously, it is the most humane. Not only is each voice different, but also you can add lyrics. Music has been using vocals since the beginning of time and although we are using an immense variety of instruments and now an unlimited way of creating sounds thanks to computers, voice is and will always be the most iconic of all. Does your creative process differ between a game like Vampyr and 11-11: Memories Retold? There is no difference in my creative process. Whatever the game, it is all about the Creative Director’s vision and the gameplay. You can make a dark and gritty horror game with tons of dialogue and fights, or a beautiful, poetic homage to WW1 soldiers with very narrative-driven gameplay, but it makes zero difference to my process. I am simply serving the games’ needs. A joypad, a good graphics card and Skype. For audio production I am on Cubase/Nuendo. For notation, Dorico - it's taking a little time for everybody to make the switch from Sibelius, but it's worth it. Otherwise, a great sound engineer, great musicians and great studios. What has been your proudest moment so far and why? Musically speaking, I think Remember Me is my biggest achievement because it is a dream come true, but I struggle to truly feel proud of my work. I am very happy to have achieved all these game soundtracks, but I feel as a creator that I could have done better, a sentiment shared by most of the creative people around me. 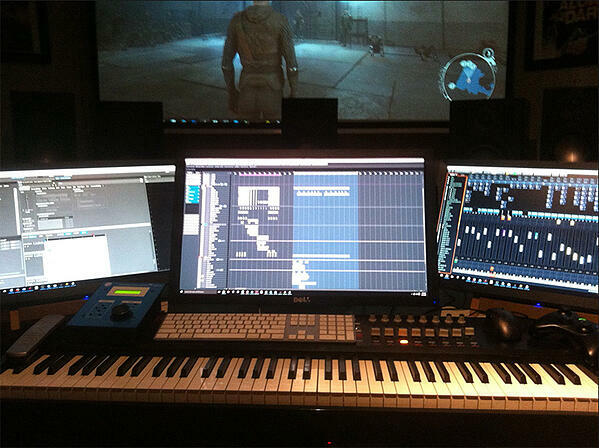 What advice would you give to someone looking to start a career in video game composition? Don’t listen to anybody and if you are driven enough, you will make it. Where can people find out more about you and your music? You can listen to many of my game soundtracks on Spotify and other streaming platforms. If you want to know about me, just listen to the music, I am hiding there. 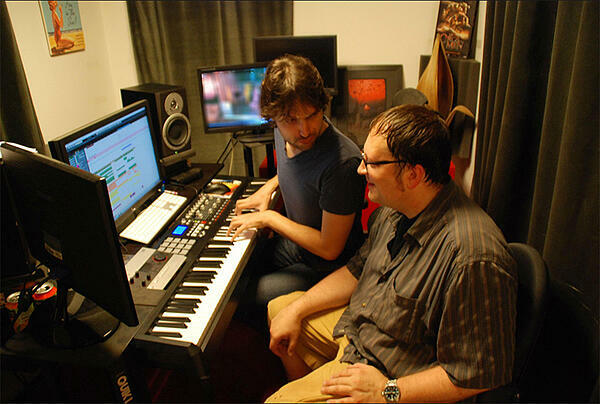 Keen to learn more about composing for video games? 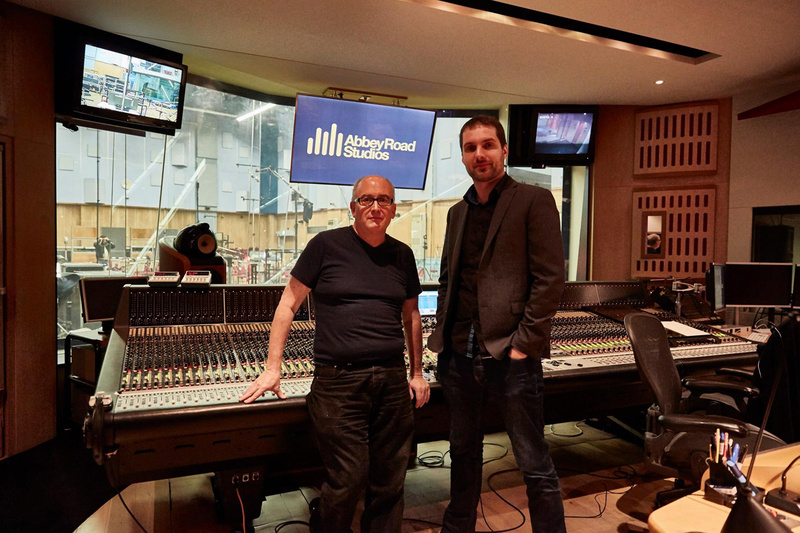 Read our interview with Mass Effect composer Richard Jacques.